ZHUKOVSKY, December 30. /TASS/. A special flight from Baghdad that evacuated Russian children whose parents joined terrorist organizations in the Middle East has landed at the Ramenskoye airdrome outside Moscow, a TASS correspondent reported from the site. Head of Russia’s North Caucasian region of Chechnya Ramzan Kadyrov wrote on his Telegram account earlier that the plane was carrying 30 children who had been kept at Iraqi prisons with their mothers. According to Kadyrov, 24 of them are from Dagestan, 3 from Chechnya, and the rest from Moscow and Penza. 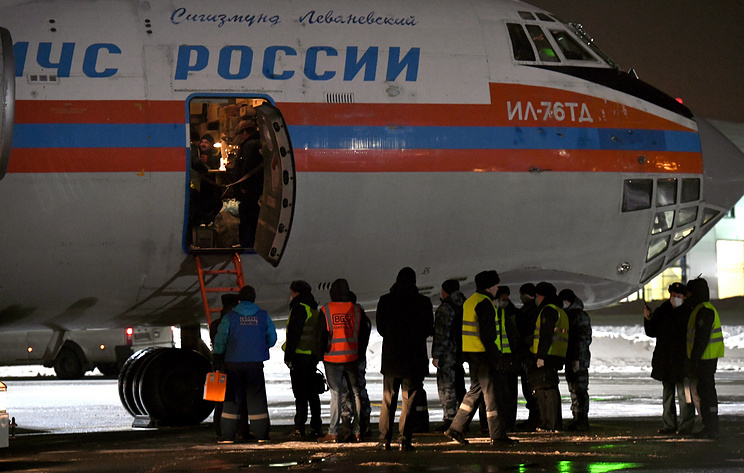 During the 4.5-hour flight, the children – 16 girls and 14 boys aged from three to 15 – were accompanied by Russian children’s rights ombudsperson Anna Kuznetsova, rescuers, medics and psychologists. “At the Baghdad airport, the children were taken by bus right to the plane equipped with medical modules. The crew included medics of various specializations and professional psychologists. Before entering the plane, the children were examined by aviation security officers and checked by the list. Each one of them was given a medical identification bracelet. Medics conducted a preliminary examination of their health condition,” the press service of the Russian children’s ombudsperson said. The press service said earlier that a special commission set up by several Russian ministries to help evacuate Russian children from areas of hostilities has information about 699 Russian children taken by their parents to the Middle East. Efforts to address this problem are being taken in line with Russian President Vladimir Putin’s instructions. This work will be continued. Hey Buddy!, I found this information for you: "Special flight evacuating 30 Russian children from Iraq lands in Moscow". Here is the website link: https://russophile.org/special-flight-evacuating-30-russian-children-from-iraq-lands-in-moscow/. Thank you.